While many things go into making a good wine, we believe there is no greater single factor than the quality of the grapes themselves. As farmers who have produced the highest quality grapes for generations, we revere the fruit and recognize its potential in the glass. Because it’s all about the grape around here, we thought we’d share some insight into the lifecycle of the vines so you understand what goes into each glass. 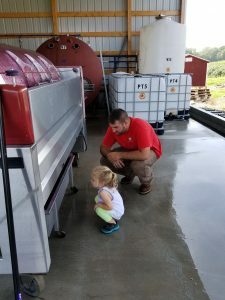 As the weather becomes warmer, and when the ground temperature is at least 50 degrees Fahrenheit, sap starts to concentrate in the vines where they were pruned in the fall and the vine’s “year” has officially begun. This is usually about late April. Shortly after, bud break occurs. New life is visible to the naked eye and the vine is most vulnerable to spring frosts at this time. Tiny grapes then start to develop (usually late May, early June). 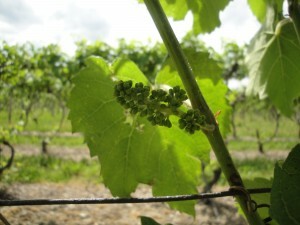 The grapes then flower –and once they’ve flowered begin to develop sugars—and are pollinated over a week or two. At this stage, we still hold our breath against frost damage. 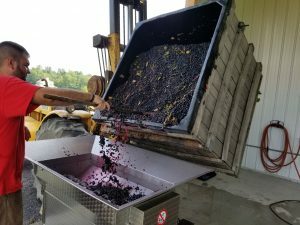 From this point, the grapes begin to mature and the flesh and the skin tannins that are critical to the color in red and rosé wines begins to develop. Growers prune fruit that has not properly developed at this time for the health of the larger cluster. 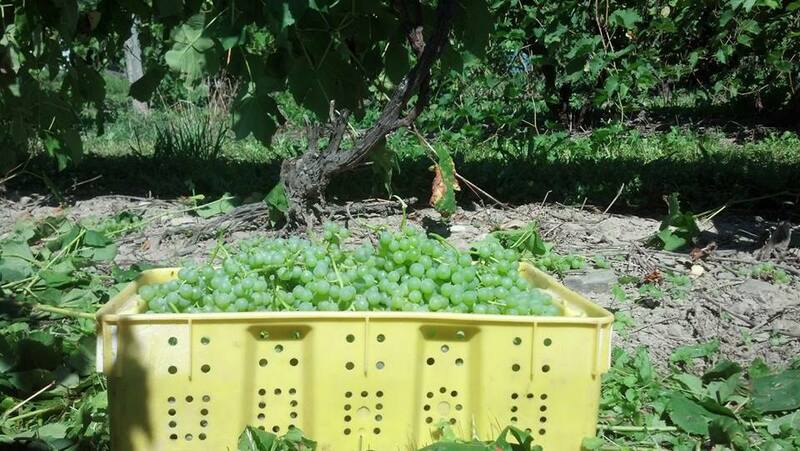 “Veraison” begins to happen when the grapes being to change color. This is a visible and beautiful period of transition but is also a critical time in the vine’s life cycle. At this point the berry begins to ripen. This period may last 30-70 days, based on the climate. 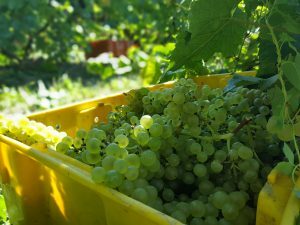 Depending on the varietal, sugar, and acid levels of the grapes (determined in part by the winemaker who is seeking certain qualities in the wine), harvest occurs usually between September and November in the Finger Lakes. Harvest also known as “crush” maybe done by hand picking each bunch of grapes or machine harvested, this is usually determined by the vineyard owners and wine makers. For the grapes, life continues on as they transition to the press and are meticulously crafted into wine. The vines have completed their work for the season and prepare for winter. At this stage, buds and canes dry out and sugars are concentrated. These concentrated sugars protect the buds from damage caused by ice inside plant tissue and this status remains until about late March. Buds then begin to release these sugars to prepare to start the cycle again in late April.